Today we bring you great news, we have a new top seed in the Reykjavik Open. 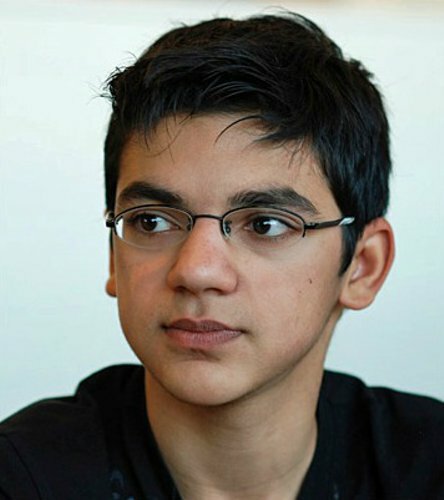 The young and super talented youngster Anish Giri has announced his participation in the Reykjavik Open. The talented Dutchman enters the tournament with a FIDE rating of 2720 putting him slightly ahead of the Frenchman Vachier-Lagrave who checks in at 2715. This places Giri at #25 in the world which is quite impressive for someone at only the age of 18! The presence of this talented world-beater is also very interesting because players of his calibre don’t frequently play in open tournaments and the last few years has only seen Anish play in strong closed super tournaments and team tournaments. Anish gained the Grandmaster title at the young age of 14 years and 7 months. His father comes from Nepal, his mother from Russia and he has lived in Japan among other countries before settling in the Netherlands. Despite his young age he quickly gained a reputation as a top annotator and started analysing games for magazines and websites much earlier than other prodigies have done. He is fluent in many languages and unlike many prodigies he still goes to school and does well in his studies, only getting the occasional leave of absence for tournaments. Others his age usually have taken up professional chess completely but Anish seems to be one of a kind. The presence of Anish Giri also completes an interesting trio. The tournament now has the top three U-2o players in the World all participating in the tournament. Giri, Yu Yangyi and Wesley So! Among career achievements we shall mention only those achieved in January! In January 2010 he won the B-group in Corus at age 15. In 2011 he beat Magnus Carlsen with the Black pieces in only 22 moves! Finally in January 2012 he won the Reggio Emilia tournament which had a rating average of 2744! Giri will definately be battling for top honors in this great event that just became a hell of a lot more interesting!